Britain’s Mo Farah won a record fifth Great North Run on Sunday in Newcastle. Farah clocked 59 minutes and 26 seconds for his fifth win in a row in the race, with New Zealand’s Jake Robertson 31 seconds back in second. London Marathon champion Vivian Cheruiyot from Kenya won the women’s race for a second time in three years. Briton David Weir set a new course record to win the men’s wheelchair race for the seventh time, with Pole Martyna Snopek taking the women’s race. 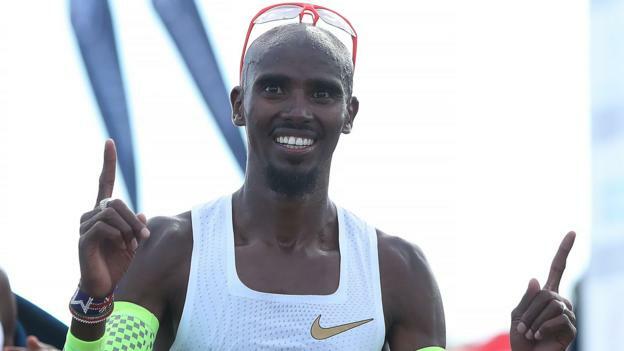 Farah narrowly missed out on his half marathon personal best – which he set in winning his second title in 2015 – after fading inside the final 200 metres, having pulled clear of Robertson with about two miles to go. Robertson, who finished a close second to Farah last year, clocked 59:57, with Belgium’s Bashir Abdi third in 60:43. Weir won the men’s wheelchair race in 41:19, with Snopek clocking 63:02 to win the women’s race.